Foreword Reviews wrote, “Her Own Vietnam is well written, compassionate, and perceptively told, addressing the trauma felt by the ‘invisible’ women in Vietnam.” You can read the full review here. In Fiction Writers Review, Eleanor J. Bader calls Her Own Vietnam “intense, gripping… and unsettling.” She writes, “Although Kanter herself did not serve in Vietnam, she spent years interviewing women who did… The facts she gleaned…[are] seamlessly woven into a story that touches themes as wide-ranging as mother-daughter conflict, parenting, divorce, alcoholism, friendship, forgiveness, sibling rivalry, Post Traumatic Brain Disorder, and military bombast. It’s a potent brew—a book I wish every kid being cajoled by military recruiters would read before signing on the dotted line and committing to fight.” Read her thoughtful review here. The national magazine of the Vietnam Veterans of America reviewed Her Own Vietnam and wrote,”This novel is one of the best books about nurses in Vietnam.” You can read the full review. Writer and book nerd G.G. Andrew interviews me on her Writers Who Read blog. Best-selling novelist Caroline Leavitt interviews me on her blog. On her blog Ph.D in Creative Writing, Kelcey Parker and I talk about how I became a writer and what in the world Rachel Carson and Edwidge Danticat have to do with me. On the Book Puke blog, read about how I became an activist – and see a photo of the very fetching McDonald’s uniform of 1970. 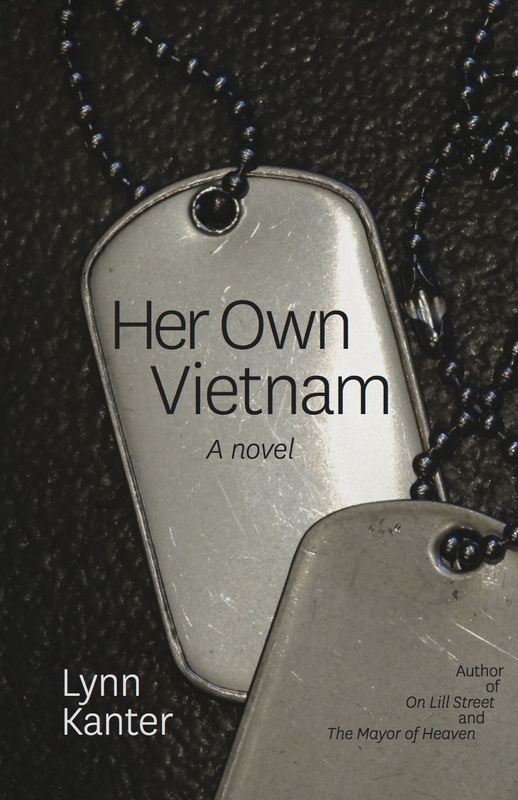 Read an excerpt from Her Own Vietnam and see what I was thinking as I wrote it, on the Guiltless Reading blog. The Next Best Book Club blog discussed my main character’s struggles to forgive, and asked “What would you tell your 22-year-old self about forgiveness?” A dozen women answered in fascinating ways. Read their answers here. On Amy Sue Nathan’s blog Women’s Fiction Writers, I talk about the travails of naming fictional characters. Read it here. [Pank] Magazine conducts a Q&A interview about the writing and research process, and why Her Own Vietnam would be a good choice for a book club.